C2 must be adjusted depending on R2. Furthermore, when using a dual op amp like TL072, it costs nothing to use 2 op amp! 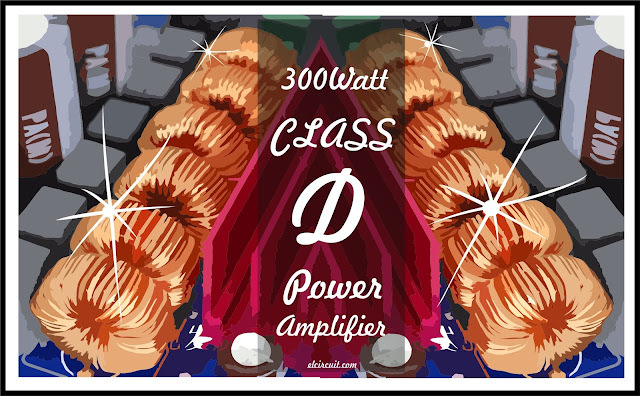 This is the amp's class ring D presented here on Tips practices. C3 eliminates the DC component in output U1a and again forms a high pass filter with R3: 1 / (2. Pi.R3.C3 = 3,4Hz). C3 ranges from 2.2uF to 10uF smoothly. C4 reduced intermodulation distortion that can generate U1b integrator. Indeed, the signal returns to the square integrator by R6. One can use the amp without mounting C4, but it is frequently found in this type of class D amp design Moreover, it influences a little self oscillation frequency (C4 = 1 nF: 255kHz, C4 = 0NF: 330kHz). R6 defines the gain of the integrator stage with R3. The gain is -R6 / R3. Beyond 150kOhms to R6, the amplifier becomes unstable. R3 is the integrator input impedance and is quite low, hence the value of the input stage based on U1a. Some fixtures have an RC filter (a few ohm 10pF to 100pF and typical) to reduce "noise" (steep edges of the voltage output transistors) happens to the integrator via R6 and limit intermodulation distortion. Without this filter, the amp works fine. For simplicity, it is not implemented. R4 protects the U1b integrator inverting input in case of default. Indeed, if the output voltage saturates, this entry would be left to the supply potential (via T1 or T2 then R6). R4 thus form a divider bridge with R6 and here limited to +/- 6VDC the maximum possible voltage on the inverting input. R4 can be replaced by two diodes 1N4148 head to tail, but a single resistor, it's easier! In normal operation, the voltage at the inverting input swings is a niche of +/- 100mV and approximately R4 is unnecessary (the amp works without R4). It is advantageous to put the greatest possible value for R4, but while limiting the surface to +/- 10V max possible on the inverting input. 10kOhms is a good compromise. In fact, there is also the "slowness" natural op amp TL072 that comes in. That is why the frequency capped below 300kHz, but enough for a Class D Amplifier The op amp used in integrator does not need to be very fast, op amp TL072 standard economic good watch. There is no need to put resistor in parallel with C5 or C5 divide into 2 capacitors in series with the midpoint to ground via a resistor (2nd order integrator for this on some amps diagrams Class D). This simple integrator circuit simply wonderfully. The integrator output voltage is a triangle which is from + 1.0V to + 4.2V with about C5 = 220pF. His +/- 8V supply is more than enough in terms of value. The amplifier gain is defined by two successive elements: the amplifier based on U1a and the integrator. This circuit gives practical tips only possible value. If one wishes to modify, adjust R2. The PNP transistor T3 allows to "shift" the integrator output voltage of the mass to -Vcc ( level shifter ). Indeed, the current through R5 is equal (near to the base current) the current through R7. Or R5 = R7, so the voltages at the terminals of R5 and R7 are equal. Found across R7 of the voltage output of the integrator, to close Vbe (error of about 0.6V). As it is a triangular signal, there is no need of a very fast switching transistor. The potential of its collector varies little and also, T3 does not saturate during normal operation, which promotes its speed. R6 limits the current that can enter the tab 1 (IN) of the IR2184 if T3 would be the driver time (saturation of the amp U1b or potential default). Its main constraint is to support at least Vce = Vcc (60V). One can choose the classic 2N5401 (150V, 600mA, 625mW) perfect for this level translator for class D amp. The transistors are driven out of phase with a time (about 0.4us). 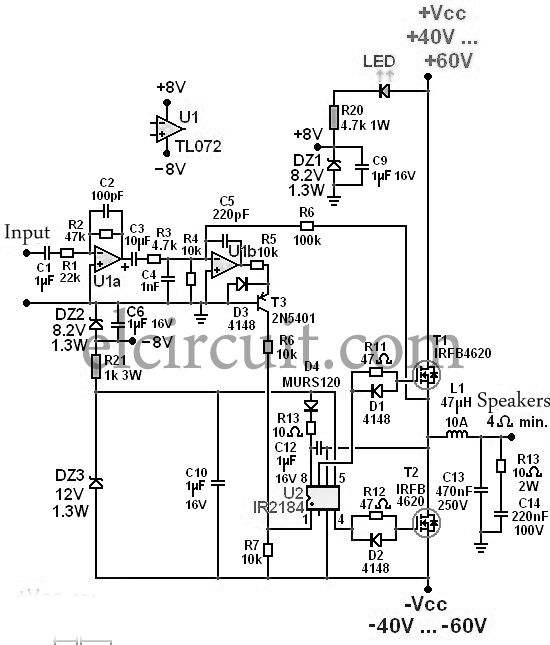 A specific integrated circuit enables very easy control of two transistors of the amp. This is the IR2184 from International Rectifier. This is an order for half bridge ( half bridge driver ). If the IN input is 0V relative to its COM leg (leg 3 which is -Vdc), T2 is on, Q1 is blocked, which ensures a low level of output (-Vdc) to the output (left terminal L1) of the transistors. If the IN connector is between 3V and 5V from its COM tab, T2 is blocked, T1 is on (but can remain as 10 or 20ms because his control is powered by the bootstrap capacitor C12). If IN remains permanently 5VDC, T1 and T2 are blocked and the system does not oscillate. The outlet (left terminal L1) of the transistors is then 0V (connected to ground through R4 + R6 or the loudspeaker). The IR2184 is supplied with 12V (10V and 15V between is ideal) and consumes about 30mA operating at 250kHz with IRFB4620 transistors as "load." D4 and R13 allow the burden of C12 (bootstrap capacitor). This capacitor supplies the T1 command when T1 is on. T1 can remain from a few tens of milliseconds, but it is very adequate for the class D amp R13 and C12 D5 prevents too has the behavior of a peak detector, which can overload C12 ( bootstrap capacitor overload ) beyond 20V and destroy the IR2184. R13 is not required if the routing of the amp is very neat. This C12 overload phenomenon and possible destruction of the IR2184 is due to the negative transient voltage at the source of T2 because of the parasitic inductance in series with the source of T2 (T2 to the opening). Placement and routing appropriate should be made carefully on this sensitive part. The IR2184 should be placed closer to T1 and T2, very close themselves from each other. The current "power" (between T2 and source of negative supply -Vdc) should never go through the tracks that connect pin 3 of the IR2184 to the source of T2. Furthermore, the capacitors C31 to C35 are to be also mounted as close to the transistors T1 and T2. To reduce the switching losses of the transistors of the amplifier class D, R11 and R12-D1-D2 sets are useful. The LEDs enable quick opening of MOSFET transistors with fast discharge of gate capacitances. The IR2184 can deliver higher current to 1A for it. R11 and R12 are playing a little on the additional dead time we want to give. The IR2184 already has a dead time control set at about 0.4us. If routing is poorly made and / or the operation of the high-load output stage is disturbed by parasitic oscillations, it may sound sizzles high level due to temporary interruptions in the operation of the IR2184. We see this phenomenon by the appearance of a continuous medium voltage (voltmeter to DC on the output of the amp). This may be due to the development "shutdown" mode for very fast intermittently. In this case, we can add 10nF between the tab "shutdown (leg 2) and the tab 3. But it proves that the route be reviewed. It is a presence index of strong disturbances and dangerous surges for the IR2184. VDS = 120V (with +/- 60V supply, must be 120V without considering the surge and add 30% - 40% margin approximately). So choose VDS = 200V. If too many oversized transistors, the gate charge Qg is larger and degrade the speed of voltage edges sent by the IR2184 driver (which will load more slowly the "big" grids). The C31 to C35 capacitors are needed to limit the destructive surges (in case of full load: higher current, di / dt and high voltage surges). This explains why C35 is useful and is not redundant with C31 to C34. In practice, the blue loop contains the highest frequencies. The surface of the 3 loops presented above should be minimized: components to be placed as close. T1 and T2 must be mounted on a small heater (an aluminum plate of 7 × 7 cm is appropriate). T2 must be isolated since its drain (case) is variable oscillating potential "chopped". Q1 housing is stable potential Vcc (the radiator as if T1 is not isolated). Classic, the output filter is a second order LC (L1 C13). R13 and C14 dampen oscillating surge due to resonance between L1 and C13 if no speaker is connected. The filter is optimized for a loudspeaker 8 Ohm but also supports a speaker of 4 ohms. The inductor must support at least the peak output current without saturating. Inductors with iron powder ( iron powder ) strong heat (100 ° C at rest) because of losses in the core (magnetization cycles / demagnetization) at about 250kHz. Here, the inductance is iron powder: besides warming up while the amp works fine with. The output filter is not part of the feedback loop against. Its output voltage is not controlled by the integrator. This allows a simpler installation, more stable, but slightly reduces the damping factor of the amplifier. With a loudspeaker 4 ohm (or two 8 Ohm parallel) means in practice that there is a lack of treble. The filter is not quite suitable to 4 Ohms, as shown in the simulation (simulation made with the free LTSpice). We have seen that if the input "IN" of the IR2184 is high statically, T1 and T2 are off (C12 being unloaded and locked D4). You have to get a signal of a few millivolts (a little bit of music) to the input of the amplifier class D for self oscillation starts. If we add a few megohms resistance in parallel with C5 to avoid saturation of the integrator, it happens that unsuccessful starting attempts. Nothing like a little music to start and establish oscillation. This phenomenon is due to the blocking of T1 and T2 in both established static regime (integrator output locked to + 7.4V, and IN high, around 5.2V relative to -Vcc). The amp starts spontaneously if Vcc is established after -Vdc but this start is a little twisted (achievable with dual power supply stabilized lab). In normal use of an audio amplifier, this poses no problem. This Class D amp is simply "sleep" before the first tiny musical solicitation. + Vcc side, R20 biases the zener DZ1. It takes minimum 4 mA to power U1 operating. LED can be inserted (choice of color!) in series with R20. -Vdc Side, R21 creates two power supplies with DZ2 and DZ3. While it takes only 4mA for U1, U2 takes about 30mA. That is why R21 does "only" 1kOhm. You can choose 680 Ohms or 820 Ohms 5W version with no problem, which allows the amp still operate at lower voltages (+/- 35VDC). The first achievement of this class D amp allowed to adjust the values ​​of each component, and prove that a class D amp is quite easy to achieve with a half bridge control IC (IR2184). No fan: natural cooling at full power sufficient to 4 Ohms (resistive dummy load)! The Class D amp is easily achieved through the control of the output stage. It's amazing how the power transistors little heat, which can significantly reduce the size of the radiator and therefore the amp to achieve. youu must using same it circuit diagram, u cant use ic IR2153, If you want the other class D amp, search in here. 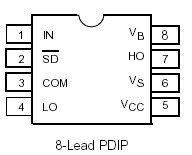 You can use high low side driver using ir2110, but you must to connecting the pin same as circuit.